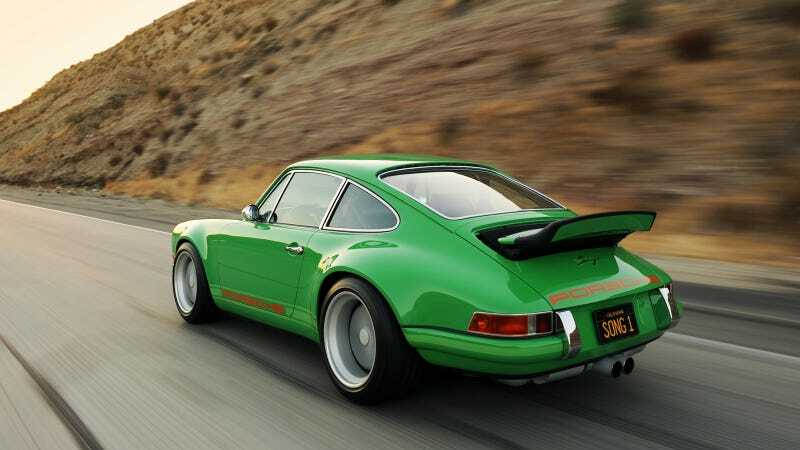 The Singer 911's the most Bruce kind of restored, combining classic Porsche looks with a 425 horsepower 993-based 3.8-liter air-cooled flat-six. It's the best of all worlds and it's our daily wallpaper. The 1600-px version is here and the giganto-desktop version is on our Facebook page (no, you don't have to "like" our Facebook page or even sign in to the service. It's right there in the "photos" section on the left).